Ryf at km 175 now sits a comfortable 7 minutes ahead of Gajer. 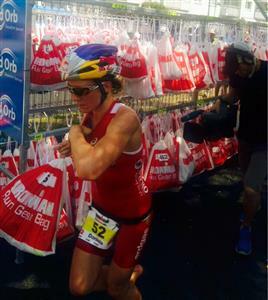 Julia Gajer has one IRONMAN title to her name, the 2013 IRONMAN Arizona. 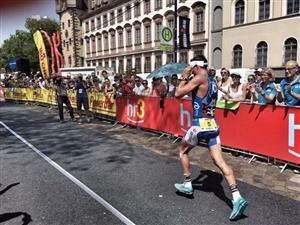 She was runner-up at IRONMAN 70.3 Mallorca this year, and won IRONMAN 70.3 Luxembourg just two weeks ago. Butterfield stopped briefly looking like he had some stomach cramps, but has started up again. 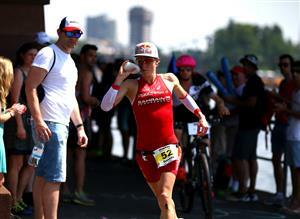 Pre-race tidbits from Frodeno: "Obviously the big rivalry is between Sebastien and myself. But it doesn’t do it justice to just call it a duel—just us two. There are certainly some guys here who have the caliber to do well here. I never discount Andreas Raelert. He's destroyed me so many times in training camps, and on windy, crazy climbs in Lanzarote. I always have that fear in the back of my mind." Ryf told us pre-race that she usually gets a pop song in her head. In Kona last year, where she placed 2nd in her debut on the Big Island, it was "Shake it Off" by Taylor Swift. 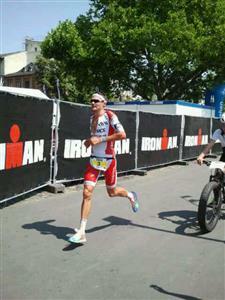 Fun fact from #IMFrankfurt: Ryf ran a 1:29:06 half marathon. Despite Frodeno's massive lead, he's really struggling--walking through aid stations, and running on the soft dirt surface. 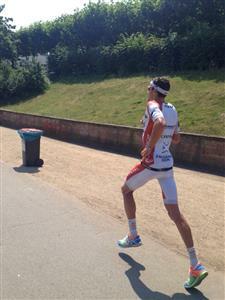 He came into this race with some knee trouble, so is likely giving his joints a break. 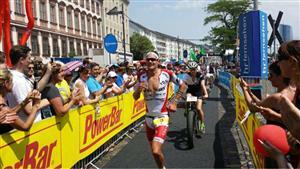 Van Lierde has been bouncing back and forth from 3rd to 5th, similarly to his race in Kona. He's currently running in 3rd. Spectators getting hosed off on the steaming, 4-lap run course. Boecherer, Van Lierde, and Diederen have been running consistently in 3rd, 4th, and 5th on the run course today, trading places occasionally. 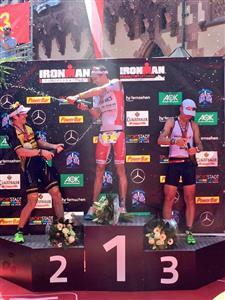 Frodeno welcomes his friend, countryman, and competitor, Sebastian Kinele. 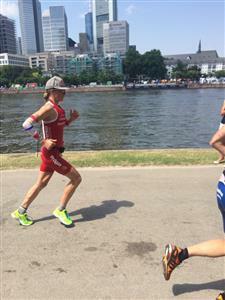 Daniela Ryf is your 2015 #IMFrankfurt champion in 8:51:24, taking down Chrissie Wellington's 2008 course record. 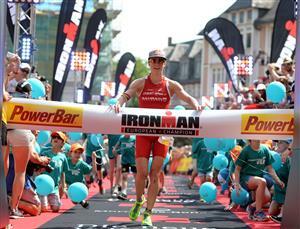 Julia Gajer is second, and the top German, at the 2015 #IMFrankfurt. Her finish time: 9:01:58. 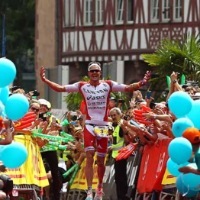 IRONMAN.comIt was a day for Kona runner-ups, as Jan Frodeno and Daniela Ryf shattered course records at the IRONMAN European Championship.